Rad Vintage Clothing on Berwyn Reviewed by Edgeville Buzz on February 4, 2011 . 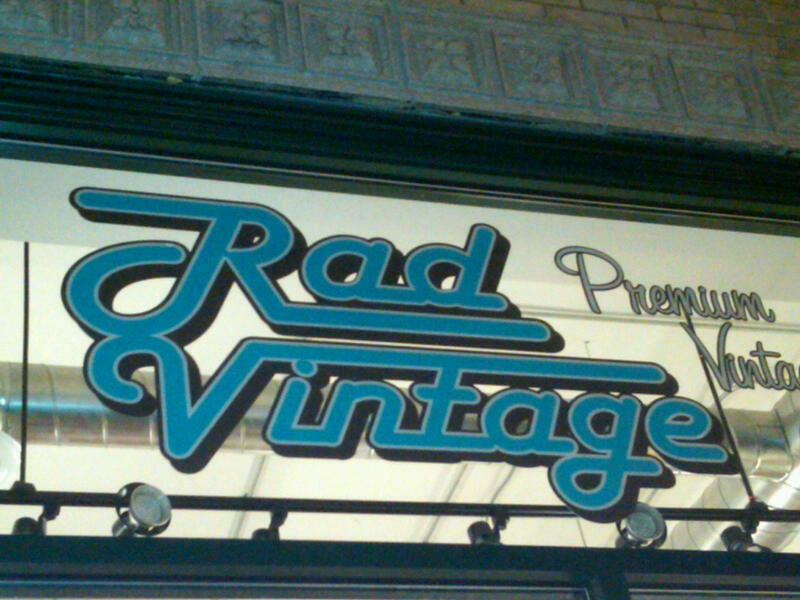 Rad Vintage has opened up at 1511 W Berwyn (between Clark and Ashland) featuring vintage clothing, thowback sporting apparel and even your favorite childhood toys from the ’80’s. We had the opportunity to stop into Rad Vintage and while the selection of goods is spectacular, I felt the prices were not. Sometimes a bit steep for worn used goods, but if you’re looking for that hard to find rare item Rad Vintage fills a unique niche in the Andersonville shopping district. They don’t have a website but they do have a Facebook page or you can check out this TimeOut blurb. In addition The Examiner wrote a nice piece about the store last week.